Thank you JMLF. Very useful - I could never remember when they were open or not. What is their limit on taproom opening. Beer, bar staff or the licence? I’ll see if the owner Nick can answer your questions/be a presence on here rather than me totally guessing! 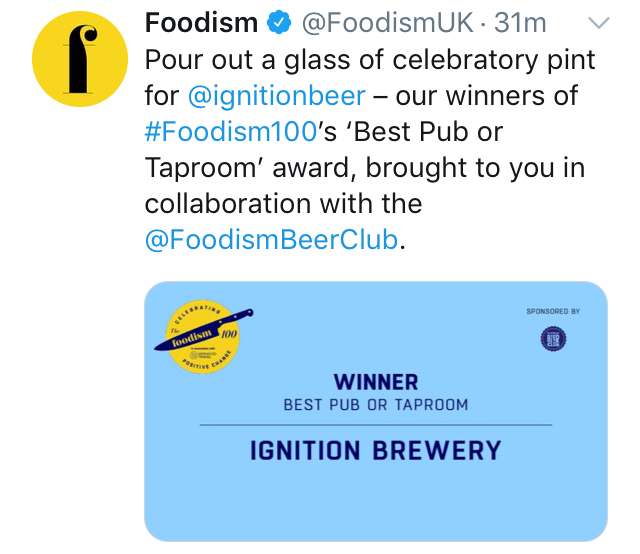 Deserved if you ask me for the general ethos of the business and bringing something new to the high street whilst continuing to support the Sydenham Centre and it’s community based activities/events. Brill stuff. Hello, Nick from Ignition here. JMLF, Your ignition images will have disappeared for many users here through no fault of your own. I have sent you a PM on how to restore them. A pity because the cause only damages the good work of both the workers and supporters of this great community taproom. Yes, was interested to read the events leaflet and the links are unclickable. Thanks for the heads-up Stuart - I’ll try and add them back this evening.